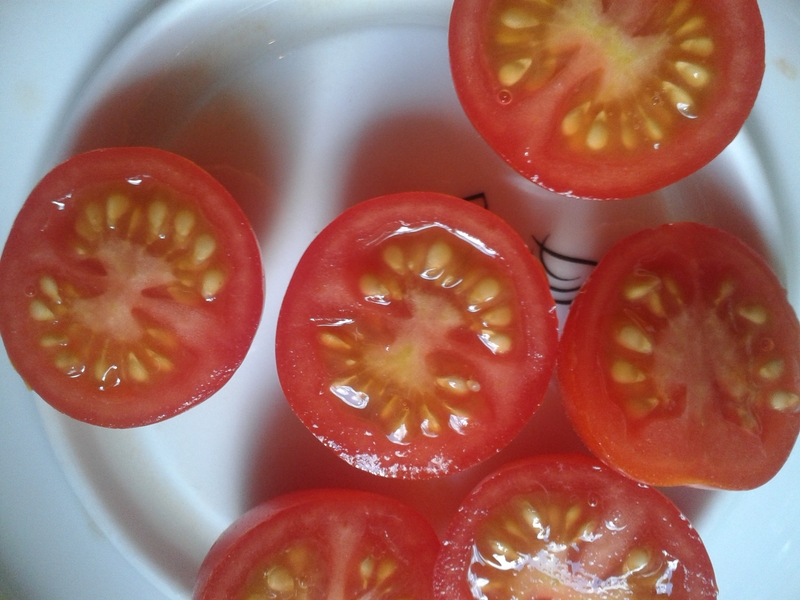 Today, I learnt how to cut cherry tomatos thanks to the awesome food blog “the yummy life”. 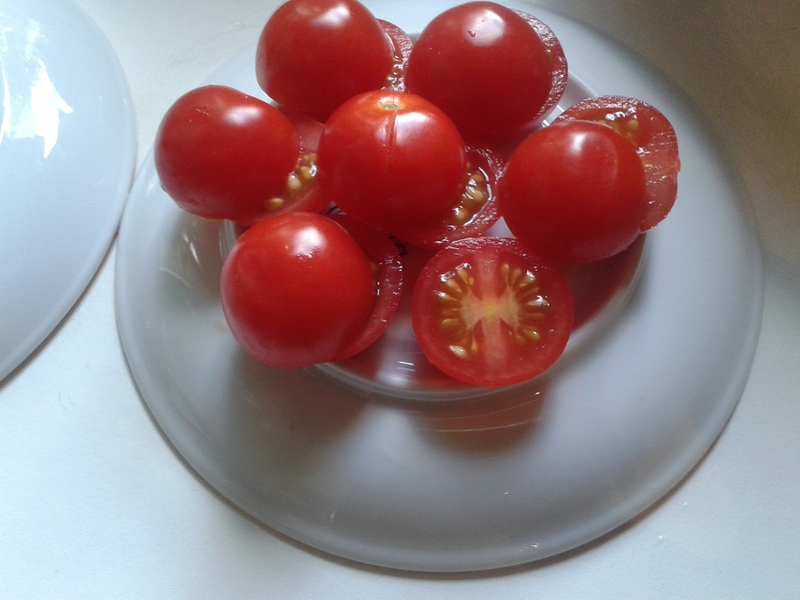 It is quite easy: put the tomatos on a flat surface (e.g. the bottom side of a plate or a plastic lid). Cover them with an equal object. And cut through the middle of the tomatos with a bread knife. At yummy life they recommend a certain type of knife (pretty cool – you can buy it there), but actually any saw knife will do. This trick allows you to cut many tomatos at once. 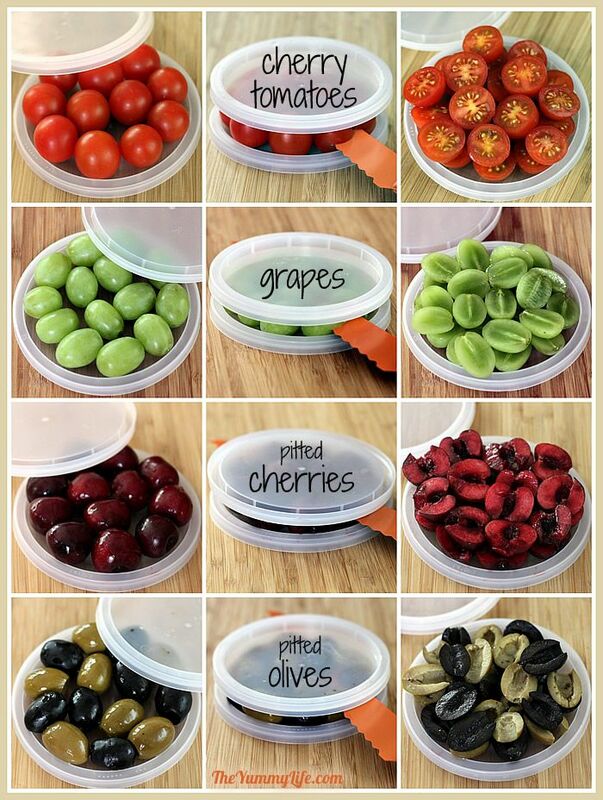 Moreover, you can even cut grapes, cherrys and equal sized object in this manner. Next PostCamel milk on the rise!